The rock star of the rocket world is finally delivering classified payloads. If you haven’t heard about the continual successes of the Falcon 9 rocket boosters and the overall success of SpaceX as a whole, well you’ve done a good job avoiding it up until this point. For the slim few of you who don’t know SpaceX, Elon Musk’s other highly successful company has made continual news for the past several months. The rocket has, in short order, proven to be a major successful business partnership between NASA and SpaceX as it is currently the go to for launching to the International Space Station. Since 2010 the Falcon 9 family of rockets have delivered nearly 33 payloads with only one full failure and one partial failure. So it came as no surprise when the US Government had them send up a classified satellite. We’d call it secret, but when you’re putting footage of it on YouTube, we’re pretty sure the term “secret” is pretty much gone. The Falcon 9 was a natural choice considering it’s now the world’s first commercially reusable rocket. Before this innovation, any rocket used in any launch would ultimately meet its end breaking up in the atmosphere or smashing into the sea. Or both. To say that this was a dramatic expense at the least is a gross understatement but to this day that is the trend for most rockets, leaving only shuttles to be the reusable component. The Falcon 9 performed this feat on March 30th of this year after reusing a previously implemented rocket that had landed successfully under its own power. Since then the only debate with the Falcon 9 has been if they ought to stop its launches so that it might be historically preserved. 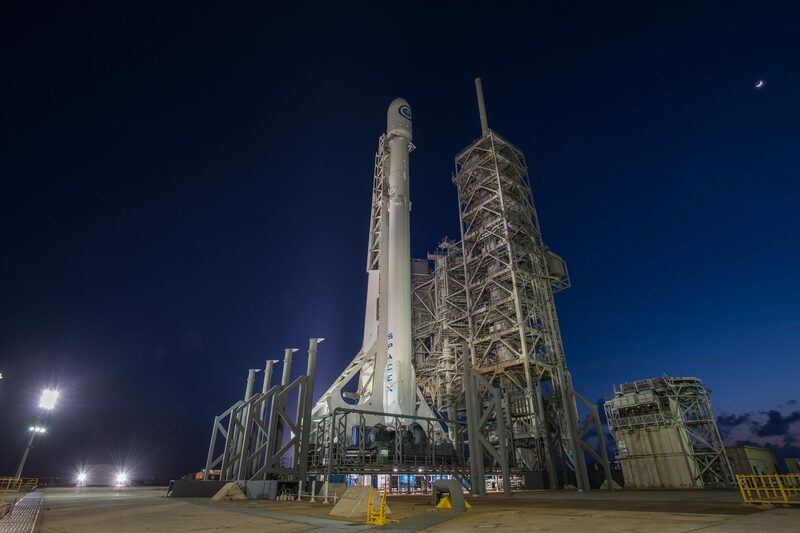 With its latest mission, the Falcon 9 has performed a rare first for the National Reconnaissance Office by launching a classified satellite into orbit. While this is the first time a classified object was launched using the rocket, SpaceX has performed launches for the Air Force previously. That the satellite was classified didn’t stop Musk from calling it a spy satellite on Twitter, however. There was probably a long phone call because of that one. The classified satellite launched from Kennedy Space Center at 7:15 am Eastern time under the label NROL-76 after being scrubbed from a Sunday takeoff due to sensor issues. The Falcon 9 rocket itself landed successfully at Cape Canaveral. There is no official word yet on the purpose of the launched satellite though speculation abounds. That short clip of the Space X landing itself is pretty crazy. I hope I am not around the day it decides to land itself somewhere besides the landing pad.